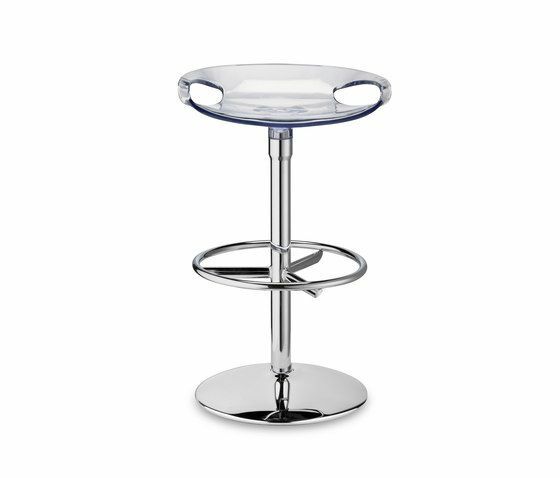 Revolving stool with adjustable height with gas piston. Base and column in chrome-plated steel. Seat in polycarbonate. Various colour solutions, for both the translucent and the solid colour versions. For indoor use.